We are very proud of our work and we would like to share with you some of the stories from our customers. 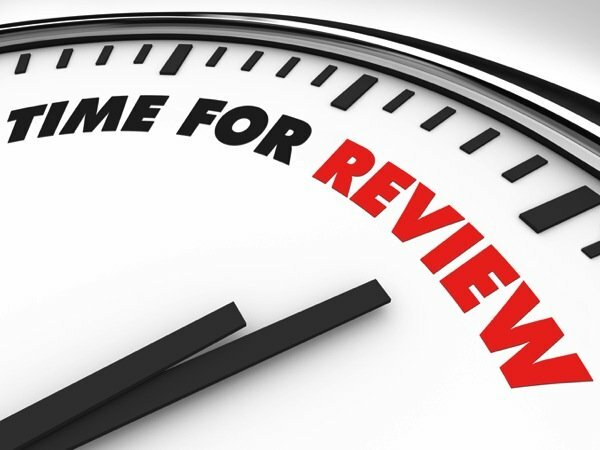 Please, take a few minutes to read the testimonials of our satisfied customers. “I’ve studied Spanish with Raffaella on one to one basis. As a busy person it was the best solution for me and also because I am not a big fun of studying in big groups. Raffaella is very hard working and she was very patient with me as at times I had mood just to give up. Thanks to her repeating things over and over again and taking the time to explain everything step by step my Spanish improved immensely. Her learning is fun and she makes you feel at ease. “We went back for our second evening at Languages Alive a couple of weeks ago. There was a large group of us there but it worked just as well as with the smaller group we had the time before. Raffaella is a great teacher full of energy and enthusiasm as well as being a great cook 🙂 While you don’t cook a dish entirely by yourself there is plenty of participation in all stages of preparation and also plenty of encouragement to get involved and speaking Italian. "My 6 year old daughter loves Italian classes with Raffaella. She loves the recipes and cooks also outside the class. During half term I took Sofia to the London Aquarium and she had to tell Raffaella about her visit. Sofia made me list in Italian all the fish she saw at the Aquarium so she could tell Raffaella about it. The classes are truly excellent and my little 2 year old would like to join the fun too! But has to wait a few more years!" “Languages Alive have been leading our After School Cooking/Language Club for three terms now. An exciting and innovative way of learning a language whilst preparing delicious regional dishes. Raffaella is an enthusiastic and passionate teacher whose first priority is to the children, this is evident how she leads and presents the class. ‘Hola Amigos!’, I had a couple of individual lessons with Vincente, a Spanish tutor and I found him to be very prepared for classes and creative in his approach. We focused on Business Spanish and Vincente provided some good newspaper articles on relevant Business related topics. “My language lessons with Raffaella were absolutely fantastic and my knowledge of the Italian language increased exponentially from them. Spending a lot of time during the lesson talking in Italian with Raffaella meant that I experienced a steep learning curve and my language skills improved much faster than I had experienced in the past in large group classes. The lessons themselves were very interesting as well, with a nice mix of language and culture. “It has been a priority for us that our children speak languages outside of their mother tongue. We strongly feel that children who speak additional languages will interact with, and understand, others more thoughtfully. Moreover, and more specifically in our case, it has been extremely important for us to maintain our family’s heritage. Our children’s mother and grandparents before her, were raised with Italian as their first language. Additionally, being Italians, cooking and food are extremely important! Thus, Languages Alive was the perfect recipe to help our children learn Italian, and have fun in the process. As a result, our children’s understanding of Italian improved dramatically during the process. Not only in their understanding and comprehension, but in their ability to communicate. Success here was due not only to the Languages Alive programme, but to the exceptional leadership and communication skills of Raffaella Palumbo. “I had a lot of fun learning about Raffaellas nonna’s recipes while revising some basic Italian phrases at her language/cooking workshop at Osteria dell’arte in Clapham. My husband also enjoyed the experience and the desserts we made. Raffaella and Guido were extremely friendly and they spoke with such clarity both in Italian and English. Nobody felt uncomfortable and there was a lot of laughter throughout the night. I would definitely recommend that people go to the workshop. "Interazione, questo era quello che cercavo nel percorso di studio per mia figlia. Non il solito corso di inglese che sembra una gita fuori porta. Finalmente questa esperienza è riuscita a dare quel qualcosa in più che cercavo da mamma compulsiva nell’identificare “la migliore scuola di inglese”. Ciò è stato possibile grazie alla professionalità di Raffaella che si è impegnata in primis con i ragazzi perché veramente riportino a casa un bagaglio che non sparisce dopo due mesi e poi con noi genitori fornendoci la massima tranquillità nell’affidargli i nostri figli." "Sono stata lo scorso anno a Londra per migliorare il mio livello di inglese e Raffaella ha rappresentato un supporto fondamentale per la ricerca di un corso valido. Ho frequentato l’Oxford House College e mi sono trovata molto bene, a partire dal prezzo vantaggioso e dalla qualità del servizio ricevuto. Ho frequentato il college per 3 mesi, ho ottenuto la certificazione linguistica ed ho avuto la possibilità di conoscere persone fantastiche provenienti da tutto il mondo. In sintesi: un’esperienza che consiglio assolutamente a tutti di fare! "Raffaella mi ha offerto la possibilità di frequentare un ottima scuola di inglese a Londra, facendomi usufruire anche di uno sconto. É stata sempre disponibile e gentile nell’aiutarmi in ogni cosa. La consiglio come Languages Alive e consiglio anche la scuola d’inglese Oxford House College dove ci sono insegnanti preparati ed eccellenti dove ti insegnano inglese con vari modi di apprendimento: dal fare giochi a studiare dal libro." "Un’esperienza di crescita e di arricchimento per mio figlio. senza la quale la vacanza studio non si sarebbe realizzata. Le migliori scuole a prezzi assolutamente vantaggiosi e con tutta l’assistenza possibile da parte di Raffaella! BELLISSIMA ESPERIENZA a Londra !! grazie a Raffaella Palumbo sempre disponibile e di grande aiuto nella scelta Delle scuole e Delle soluzioni più comode e convenienti. Sicuramente da consigliare ! 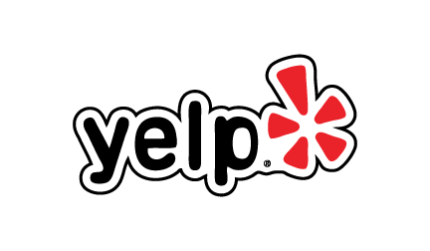 What customers say about us in Yelp? Contact us today to learn a new language and culture!